Sarah and Carlos chat during another E. Lake St. Library Conversation Circle which takes place from 1-3pm every Sunday from Sept. 7–Nov. 30. Conversation Circles are open to all who are interested in practicing their English in an informal, volunteer-led setting. 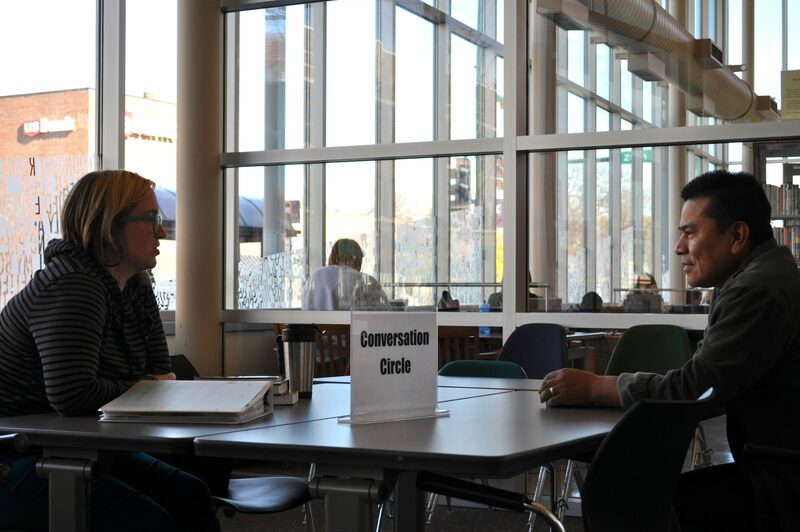 Conversations take place at a handful of Hennepin County Libraries including the one on E. Lake Street. Call 612-543-5669 for more information in English or, in Hmong, 612-543-8845; in Somali, 612-543-8756; in Spanish, 612-543-8510.